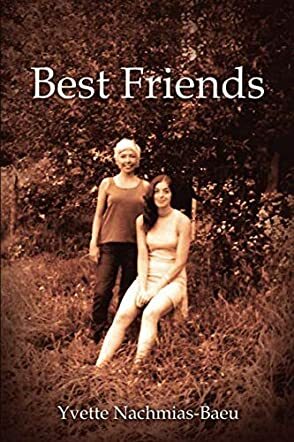 Best Friends is a nonfiction memoir written by Yvette Nachmias-Baeu. Beth had originally been Yvette’s sister’s friend, but somehow the two young women discovered that they were, indeed, kindred spirits. Each had an abiding interest in the arts and chose a creative life over a more traditional one. They were in their early twenties as the 1960s dawned fresh and new, and everything seemed poised to perfection in their lives. While they would share living quarters for many years, each of them enjoyed their own pursuits. Beth’s aspirations to be a writer, and her interest in travel, led to a contract with Frommer, the travel publisher, and enabled her to see most of the world. Yvette’s interest in theatre and film transformed New York City into a mecca that alternatively excited and repelled her. Throughout those separate adventures, Beth and Yvette kept each other closely apprised of their experiences, their loves and their dreams. Their friendship and correspondence dwindled away in the late 1970s, however, when Beth’s adolescent bout with schizophrenia returned with a vengeance. Beth walked away from her life, her home and everyone who loved her. She died in 2011. Yvette came upon her collection of their correspondence several years later, and, as she read, found herself reliving those earlier times. Yvette Nachmias-Baeu’s nonfiction memoir, Best Friends, is a moving celebration of an enduring friendship. The letters Yvette shares are powerful and held me under their sway as I read. I was frequently awed by how much Beth and Yvette did with their lives, especially at a time when most young girls lived at home until they were married. Beth’s descriptions of Ireland and the countries she visits are marvelous, and Yvette’s accounts of the West and East Coast cultures are inspiring. The Notes Yvette concludes each chapter with helped me get a full picture of the world they lived in. Reading this book has been an unforgettable experience and I’d urge anyone interested in the 1960s and 1970s to do so. Best Friends is most highly recommended.